School starts up again in two weeks! Well actually, I go back late next week but the kids have 2 more weeks of summer before they head on back. I do love getting ready to go back to school. I love buying school supplies and getting new school clothes for this kids. I also love figuring out how to capture the moment of the first day of school. 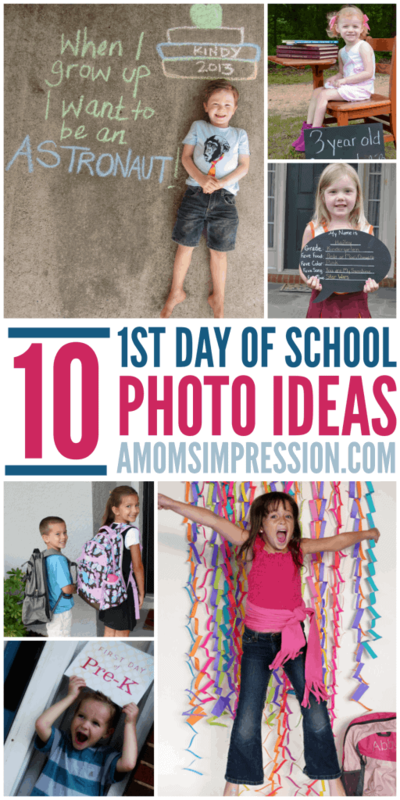 Here are 10 First Day of School Photo Ideas to help stir up your creativity this year! 1. Use a chalkboard to show what grade your child is starting. 2. You can quote me on that! This quote bubble picture is an adorable way to remember your kiddo’s favorite things every year. 3. Jump with joy! Jumping is a cute idea for siblings to do together, too. 4. An old desk makes a lovely photo prop. 5. The coolest thing about starting a new school year? A new backpack, of course! 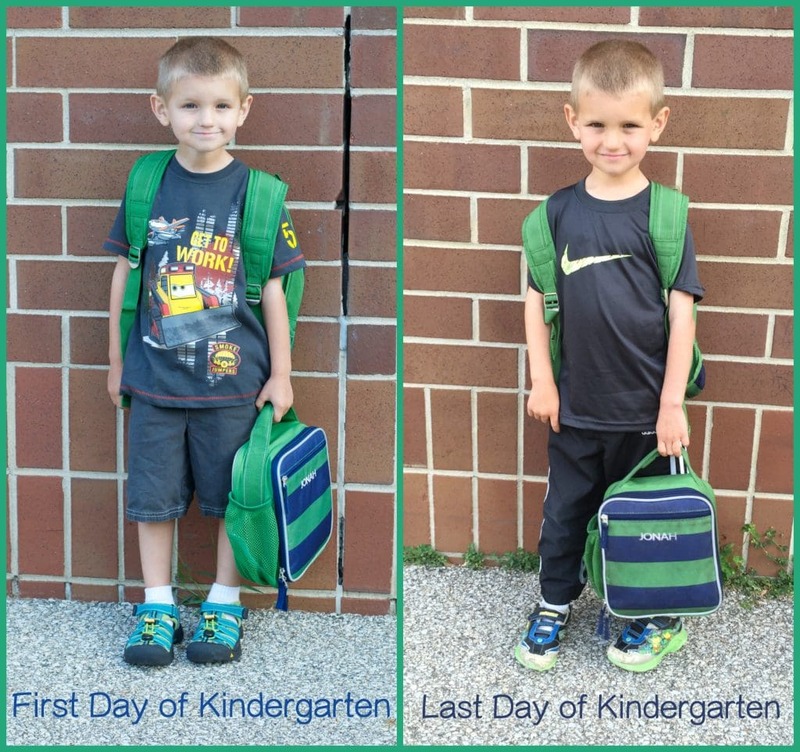 Take a picture of your kids sporting their new packs on the first day. 6. Too busy to bother with props? No problem! Add text to the photo after using Picmonkey or another photo editing tool. 7. Draw a height chart on the sidewalk and have your child lie next to it. You may want to do this after school if you’re afraid of your kiddo’s clothes getting dirty! 8. Another cute sidewalk or driveway idea: your child’s grade and what he or she wants to be. Cute! 9. This simple picture of your child in front of a vase of flowers with some colorful letters would be darling. 10. The first day of school will be super busy. Make it easier on yourself with printable 1st day of school signs to use in your photos. I also did this for the last day! I love seeing how his answers change every year. I know he is going to appreciate it one of these days and I will have a fun school keepsake to show his kids some day. 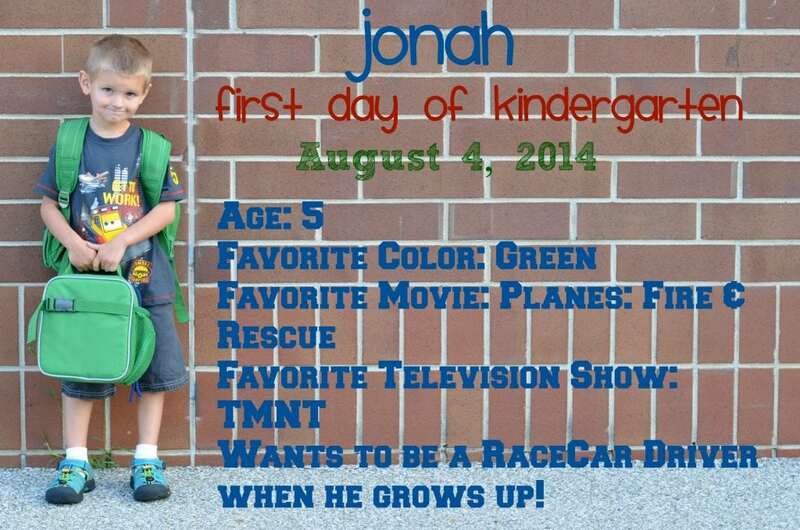 What fun ideas do you have for the first days of school?